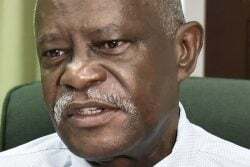 President David Granger said on Friday that he would be working with the Minister of Health to ensure improved conditions at the Georgetown Public Hospital (GPH) Maternity Ward, an undertaking that has been welcomed enthusiastically by the Guyana Public Service Union (GPSU). 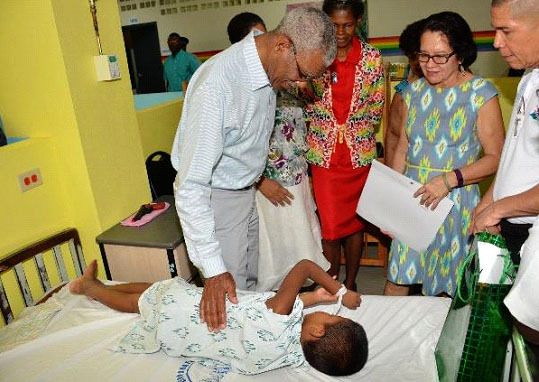 The President, who with First Lady, Sandra Granger visited the maternity and children’s wards at the GPH on Christmas Day, said it was part of his job as President to be at the hospital on Christmas morning, not only to bring cheer but also to have a first-hand look at the challenges patients experience, a press release from the Ministry of the Presidency said. 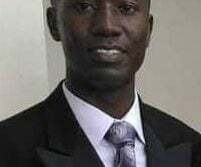 Further, the union said, what cannot be separated from any attempt to improve conditions at the hospital is the emoluments of the staff of the institution. 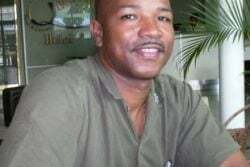 “The GPSU continues to believe that our medical staff, including our nurses, continue to do their best in what, frequently, are particularly trying circumstances,” the release said, adding that immediate attention to wages and salaries should form part of the President’s undertaking. 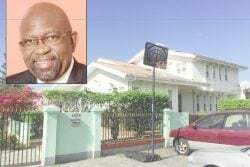 The union said it also wished that, in the shortest possible time, this undertaking would be extended to state-run health institutions across the country. 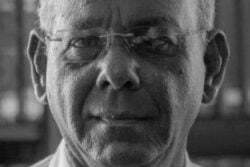 “It is no secret that medical facilities elsewhere in coastal Guyana and in our hinterland regions leave much to be desired. 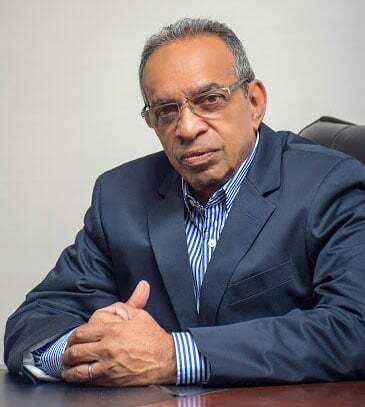 Those Guyanese residing in and outside of the capital and its immediate environs are deserving of access to medical care that competes with the best in the capital,” it stated. 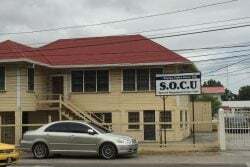 The GPSU said it was mindful of the Spartan conditions that obtain at the country’s only psychiatric institution situated at Fort Canje, Berbice, when measured against evidence of what would appear to be the mounting need for quality psychiatric care across the country. 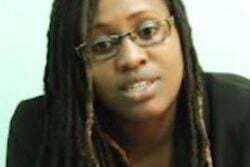 “While we understand that Rome wasn’t built in a day, the GPSU feels duty bound to publicly emphasise this need to official and public attention,” it said. Minister of Health Dr George Norton and Minister of Social Cohesion Amna Ally also accompanied the President on his visit to the hospital. 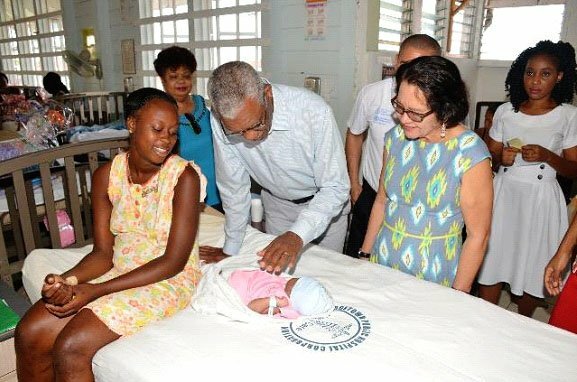 At the time of the President’s visit, seven mothers had already given birth on Christmas morning and there were 39 babies and 43 mothers in the post-natal section of the maternity ward, the Ministry of the Presidency release said. 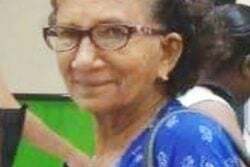 Among them was 19-year-old Meena Bisnauth of Triumph, East Coast Demerara, who was the first mother to give birth on Christmas Day, the release said. Her baby, who was born about four weeks early, is her second child. 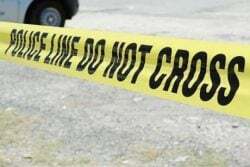 Twenty-year-old Venetia James, whose second child was also born on Christmas day, said that she named her new daughter Tatianna after a character in a movie, the release said. 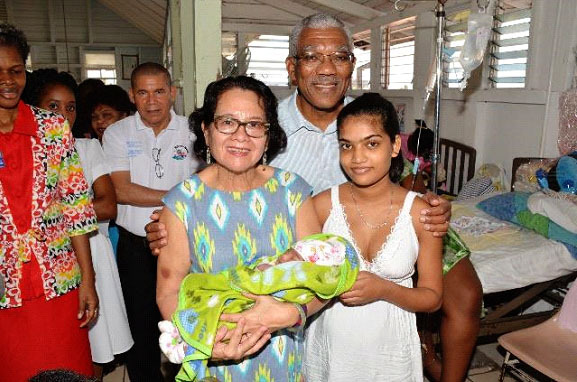 Meanwhile, Renita Patterson’s Christmas baby was truly the gift that she had been praying for. With three boys at home, aged 10, eight and three years old, the Buxton resident was happy to finally have a daughter, who she said would be her last child, the release said.